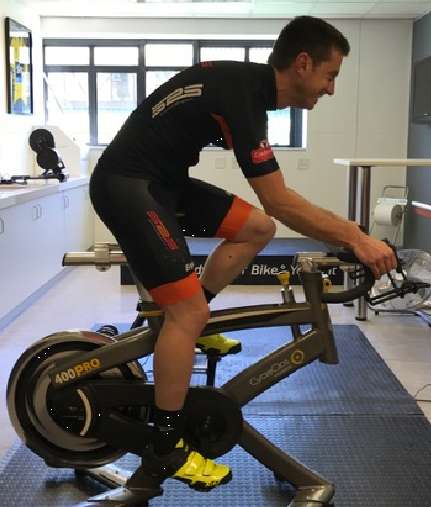 We have recently launched a short course entitled, “Cycling Science: the essentials of cycling physiology and coaching”. For further information about the course, please click HERE. 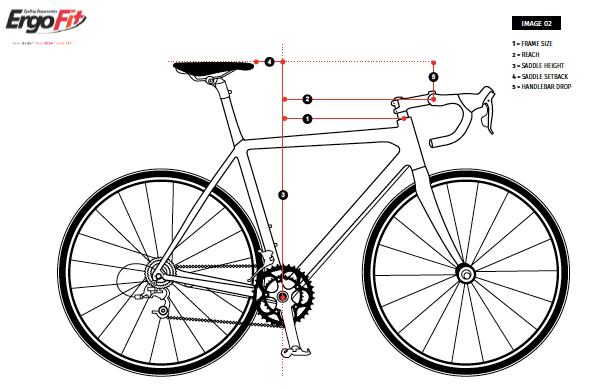 In this article we are covering content from the eighth module of this short course, which covers the basics of bike fitting. At present, there is only one predictive system available that includes measurements of the various lengths of limbs and stature as well as including other factors such as flexibility, riding experience and others in predicting the optimal fitting. 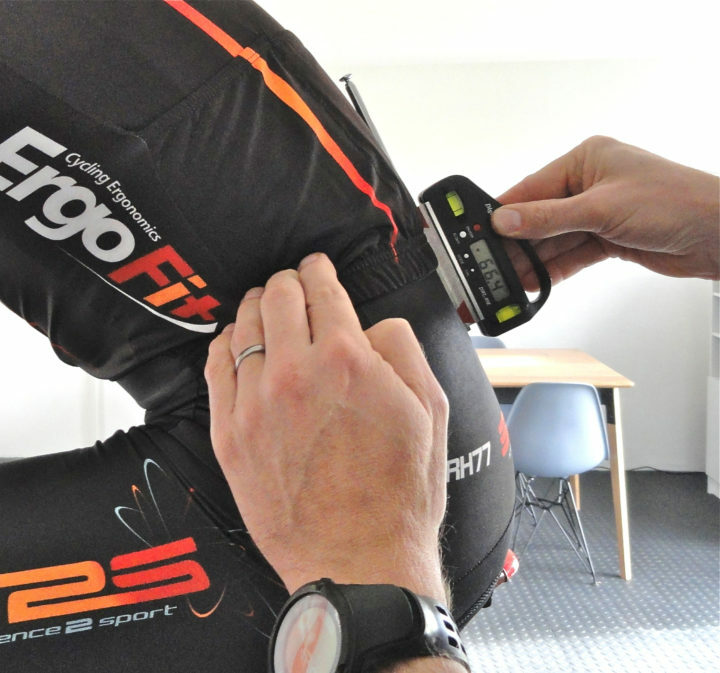 This is the ErgoFiT system developed by Science to Sport. Two ways of performing objective measurements are highlighted in the diagrams below. The first uses a set of traditional measurements related to a line along the bike seat-tube. However, due to the advent of the 29er mountain-bikes, aero-bikes and other advances, many manufacturers are no longer creating bikes with seat-tubes set at 73-74 degrees. This makes it impossible to perform traditional measurements without the use of a mechanical jig or a laser reference line. As such, we are advocating for a move to a very simple X-Y reference for all bike parameters. Some manufacturers such as Open bikes have already started referencing frame size in this way as opposed to the traditional measurement of horizontal top tube length. Over time we hope that all bike fitters will move to this more objective and accurate measurement system which can be achieved by using a simple self-leveling cross hair laser available at most building supply stores. Of all the dynamic assessments, saddle pressure mapping provides the most practically relevant and meaningful data. This may seem counterintuitive but measuring saddle pressure provides a wealth of information about the center of pressure of the rider as well as stability3. Measuring this data is quick, easy and readily interpretable. These variables provide feedback that guides saddle height, saddle setback and handlebar reach in an indirect but repeatable fashion. Unfortunately there is currently limited research to help guide the interpretation of dynamic whole body measurements such as 2D video kinematics or 3D kinematics. Going forward these techniques have a lot of promise, especially newer systems which use enough markers to detect hip and shoulder position optimally and which are able to provide analyses without excessive time processing the data. 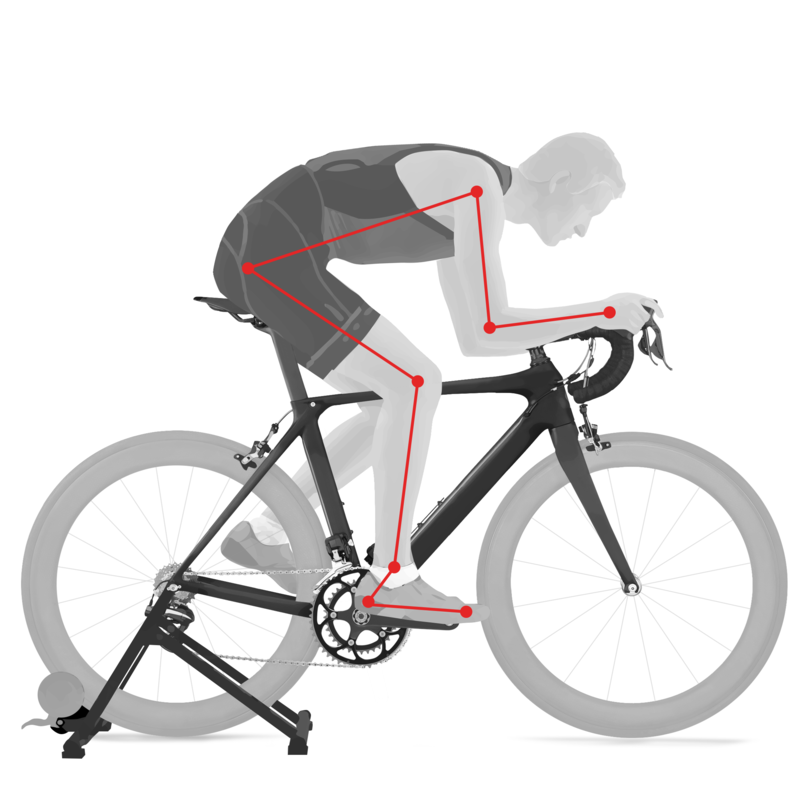 Bike fitters should be aware of the limitations of dynamic systems which do not measure hip and shoulder angle accurately due to the limited number of markers. An example is demonstrated in the diagram below. Without markers on the spine it is not possible to measure the hip angle, lumbar flexion, thoracic flexion or shoulder angle accurately. Holliday, W., J. Fisher, R. Theo and J. Swart (2017). “Static versus dynamic kinematics in cyclists: A comparison of goniometer, inclinometer and 3D motion capture.” Eur J Sport Sci 17(9): 1129-1142. Holliday, W., J. Fisher, R. Theo and J. Swart (2018). ” Cycling: Joint kinematics and muscle activity during differing intensities ” In review. Holliday, W., J. Fisher, J. Salzwedel, R. McDonald and J. Swart (2018). ” The effects of relative cycling intensity on saddle pressure indexes ” In review.